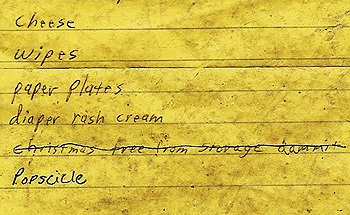 I was hauling groceries back to my car I stepped on someone else’s shopping list. Flatly honest sentiment is a rare thing in December. I’ll sneak through the holidays with this stranger’s snit line in my pocket.